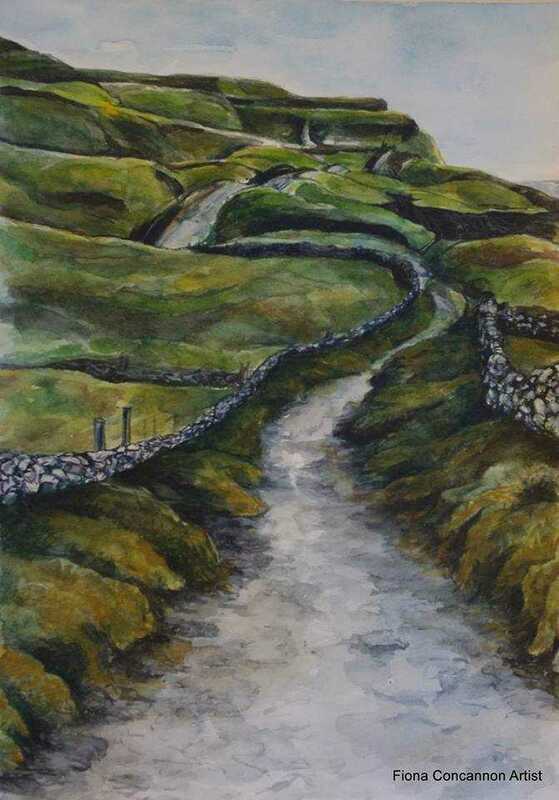 Meet Fiona Concannon - talented artist, watercolourist and tutor from County Galway. I say, it's a bit like online dating for creative businesses; I've met the lovely Fiona, had a rummage around her online presence (I know she's done the same with me), a good look at her work and managed an initial virtual date on our own, away from the watchful, sensible and comforting eye of Creative2Creative. And, we have a second date set. And we both live in areas of Ireland currently playing with European Capital of Culture designations. Galway2020 will be making waves in 2020 and with weare2023, Belfast, Derry&Strabane and regions hope to do the same, biding for the 2023 slot. What that means for small creative businesses like ours we don't know yet. Being creative is not a problem; neither of us seem to struggle with creative blockages, it's the time to do all the surrounding administration that zaps the will. Fiona and her friend Martina Furlong will be at Art Source in the RDS on the 10th - 12th November, so organisation and getting ready is high on her agenda. Discipline and focus that's what we need, and hopefully, with regular meetings, we'll develop the sort of well-meaning, gently nagging and supportive relationship to push us both forward.